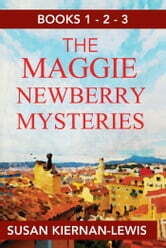 Murder travels nicely in this popular mystery series featuring ex-pat Maggie Newberry who lives in France with her vintner French husband. 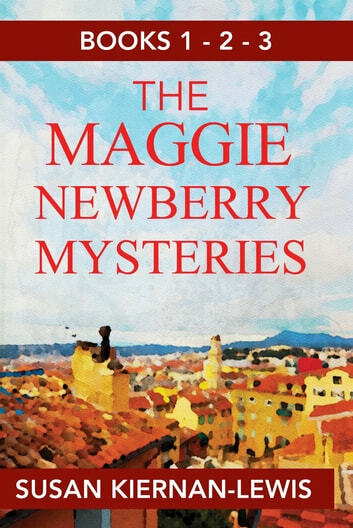 Enjoy the sights and smells of Provence, the Côte d'Azur and Paris as Maggie uses her amateur (and very American) sleuthing skills to detect and confront the vilest murderers on the continent! Check out the series for yourself with the the first three books, bundled together and priced at the cost of less than two books at full price! Warning: This series is set in France so do NOT read hungry! My favorite new author. Picked up these first three books as a set. Can't wait to get a hold of the next three. Twists and turns in every chapter! Enjoyed the mystery part of the who dunnit, and that the story moved seamlessly from one book to the next. It was quaint and stereotypical how everyone drank pastis. Unnecessary profanity though added nothing to the story line. However, as a native French person the spelling, grammar, and confusion with masculine and feminine in the French language used by the characters set my teeth on edge. Please have someone proof read the French dialogue- s`il te plait! Enjoyed each of the mysteries. They are a great read.